More with Music: Hello Everybody! I'm excited about creating a website and a blog as well. I hope to soon figure this all out and be able to post daily. Please be patient as this site is under construction. Welcome to More with Music! 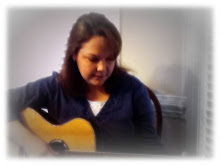 My name is Amanda Ellis and I am a board-certified music therapist. This site is for parents, teachers & music therapists who are searching for songs and ideas to help teach children of all ages. If you have any questions or comments, please email me @ morewithmusic@gmail.com Thanks for stopping by! Like More with Music on Facebook! Subscribe To More with Music! Follow More with Music by Email!